Novoflex recently introduced the new Nikon F Lens to Leica SL/T Camera Body Lens Adapter. The adapter could be a game changer for photographers who own a lot of Nikon lenses, but would like to try a Leica body. The Novoflex lens adapter allows photographers to use Nikon F-mount lenses on the Leica T or Leica SL camera bodies. 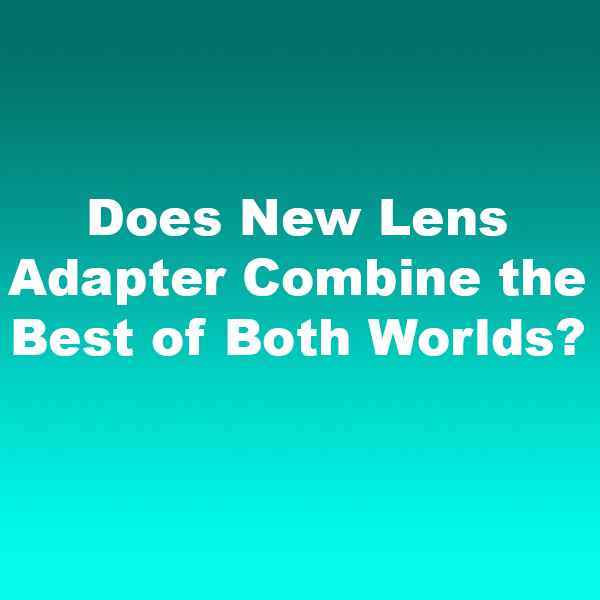 The latest adapter is designed to extend the range of available lenses for the Leica SL to Nikon E-type NIKKOR lenses. Nikkor lenses with electronic aperture control were previously incompatible with Novoflex lens adapters. According to Novoflex, 13 Nikon E-type NIKKOR lenses and teleconverters are compatible with the new adapter. The list includes both fixed focal length lenses, zoom lenses, and two tilt/shift lenses. Notably, AFc mode and image stabilization are not supported. Novaflex also notes that its new adapter only works with Firmware 2.0 and higher installed on the Leica SL. Of course, the key question for photographers is whether the adapter impacts image quality and will withstand the test of time. There are a number of cheap adapters on the market that may function well at first but don’t hold up to frequent use. Novoflex promises to deliver a superior quality build. “The precise production of small series in Germany is more important to us than the ubiquitous availability of merchandise on a huge scale at dumping prices,” Novoflex states on its website. The company has demonstrated superior manufacturing in the past, and the latest adapter should not disappoint. The Novoflex Nikon F Lens to Leica SL/T Camera Body Lens Adapter is available for pre-order now and is selling for $850.